A master plan that will guide improvements to R Park was unanimously approved last Monday during Roeland Park’s city council meeting. 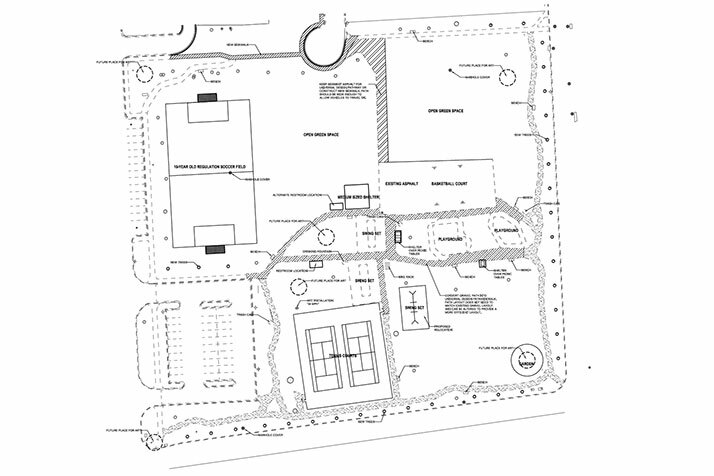 New tennis courts, additional greenspace and trees, art displays, and upgraded pathways are among the planned updates for the 5.4-acre park, located at 5535 Juniper Drive. Playground equipment will be condensed into a focused area and the baseball/softball backstop and tetherball courts would be removed to provide more green space. Councilor Michael Poppa said the master plan will be used to inform the public and facilitate fundraising and grant writing efforts. Councilmembers Sheri McNeil , Ryan Kellerman and Tim Janssen spoke out against recommendations to replace some of the park’s asphalt with green space, noting that children use the area to ride bikes. McNeil said she had heard from several constituents they would like that area to remain as is. “I just don’t want to approve a master plan that is going to make a lot of people pretty angry,” McNeil said. Councilmember Becky Fast supported the asphalt removal saying surveys clearly demonstrated residents were interested in having more green space in the community. “This park with all that asphalt looks like a parking lot,” Fast said. 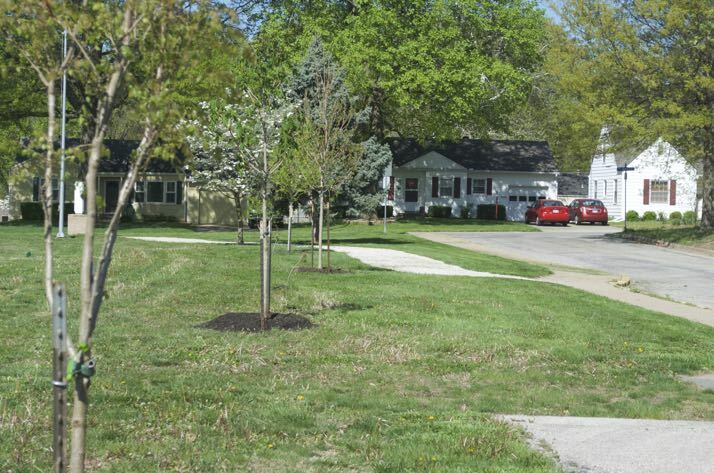 Councilmember Michael Rhoades proposed to amend the master plan to include an option that would allow a larger portion of the asphalt to remain. Councilmember McNeil seconded the motion. Coucilmembers Janssen, Kellerman, Rhoades and McNeil voted in favor of the amendment and councilmembers Erin Thompson, Teresa Kelly, Michael Poppa and Becky Fast voted against it. Mayor Joel Marquardt voted in favor of the amendment to break the tie. Marquardt said he wasn’t opposed to removing some of the asphalt area but said he would like to see a smaller reduction than what was proposed. Kellerman spoke at length against plans to remove the baseball/softball backstop and said he regularly saw the backstop being used by families playing catch. Parks committee chair Jennifer Provyn said the committee had discussed that issue at length but couldn’t find a good spot for the backstop in the revised park layout. “The true reason it’s being taken away is because we can’t figure out where to put it so that you aren’t hitting baseballs at people,” Provyn said. Kellerman made a motion to amend the plan so that the backstop would remain. No other councilors seconded the motion and the amendment failed.